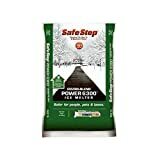 Safe Step 50850 Calcium Chloride Ice Melter 50 LB melts ice and snow down to-25 degree Fahrenheit. 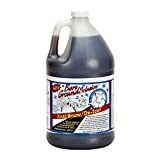 It instantly generates heat and starts to melt ice immediately. Deeply penetrates ice. Safe when used as directed. 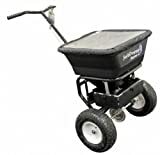 Only use on air entrained cold weather concrete that is at least a year old. 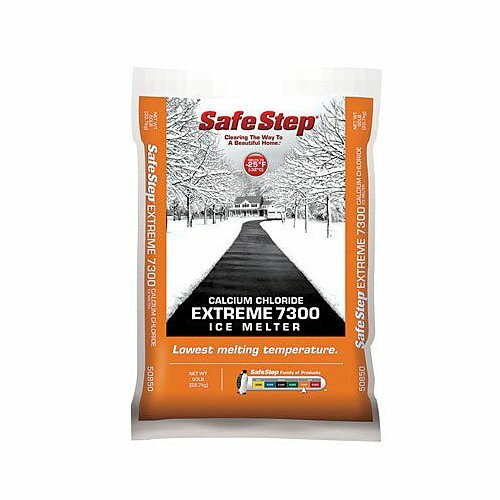 Ice melter will not leave a powdery residue. Comes in easy to pour jug.